In 1976, the year of the bicentennial that’s often credited for re-popularizing quilting, Linda became a mom and started making her first quilt. She used fabrics leftover from her daughter’s homemade clothes and baby room curtains, to hand-piece and hand-quilt her first quilt which still isn’t finished. Which we can all relate! Fast forward to today and you’ll find that Linda has covered a lot of ground and had a lot of quilting experiences since 1976.
read some of Linda's work! From attending dozens of quilt classes, retreats, and being a successful magazine editor, the list goes on with Linda's inspiring accomplishments! 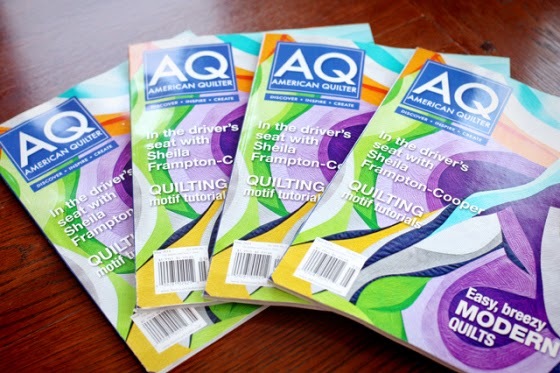 Not only has she written a beginner quilt-making book (First Time Quiltmaking, 2006 ), she is currently a freelance writer for American Quilter magazine. As the co-founder of the Des Moines Modern Quilt Guild chapter and founder of the Central Florida Modern Quilt Guild, Linda keeps busy teaching classes, giving programs about modern quilting, blogging and of course, quilting! You can visit her blog for tutorials on quilting techniques, binding methods, etc. She first began free motion quilting in 1998 and was very disappointed with her results. 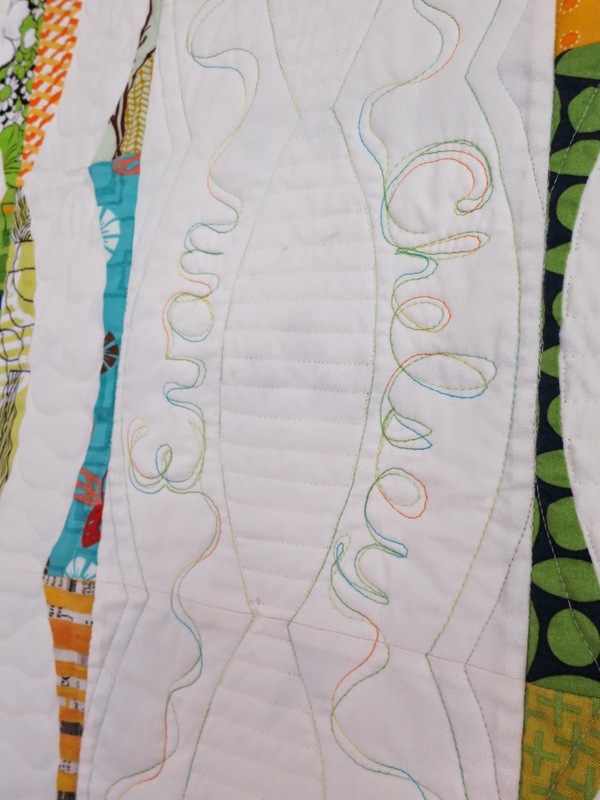 However, after hiring a long arm quilter one time and realizing she’d break the household budget having all her quilts quilted for her, Linda tells us why she decided she had to quilt her own quilts. To solve her problem, in 2001 she bought an electronic Bernina QE153. She justified the expense by promising herself that she would never use the services of a longarm quilter to complete her quilts. “That promise made me the quilter I am today,” says Linda. “I haven’t yet achieved perfection, but I continue to learn and improve. As I’ve begun to enter my quilts into competitive shows, I’m finding that the batting I choose to use makes a big difference in a quilt’s final appearance. So what advice can an advocate of free motion quilting on a home sewing machine give to others? “It’s a skill that anyone can learn, but it takes a lot of dedication and perseverance to do it well. I’ve seen too many quilters give up before they’ve really practiced. Those who make a commitment to it, and continue to try will get better,” says Linda, who is a testament to that determination. This lovely scrappy quilt, Love Links, was gifted to Linda's nephew and his bride on their wedding day! Love Links contains more than 100 prints from her fabric stash in a limited color palette of yellow and green with hints of blue and orange. 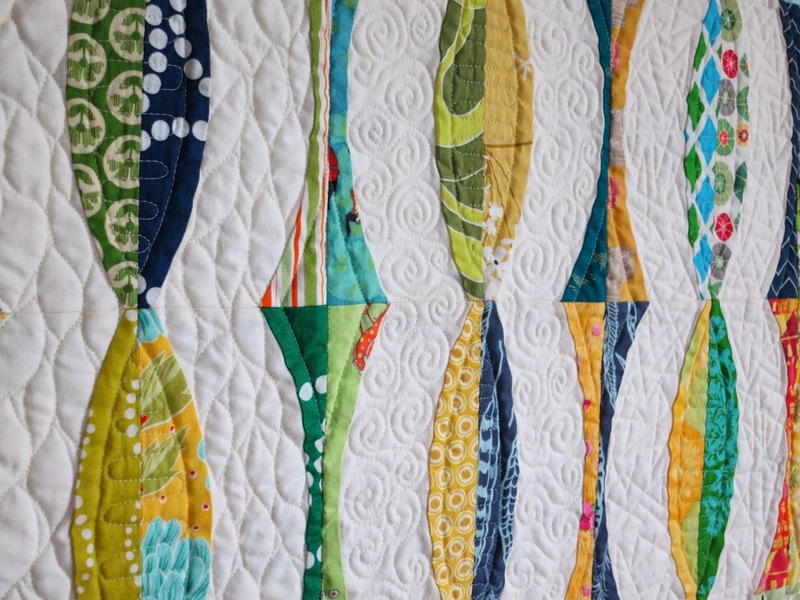 Linda choose Quilters Dream Poly in the thinnest (Request) loft for this refreshing quilt. 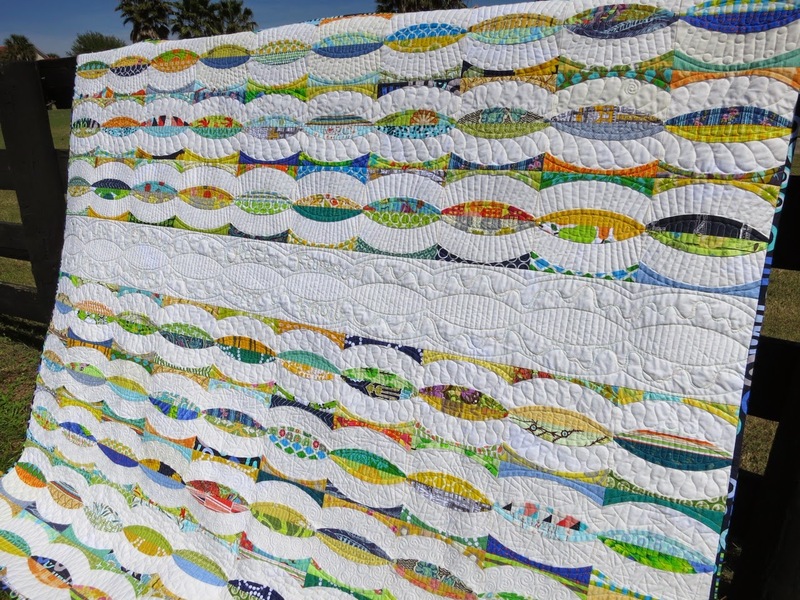 Using the Dream Poly is also ideal for show quilts! As many times as they may be folded, shipped and juggled around, this batting hardly holds creases and wrinkles. And with little to no shrinkage, you can wash and dry with no worries. Backing is Ikea's "Britten Nummer"
achieve slight definition to your quilts. How beautiful Linda!! You inspire me to become more dedicated to improving my quilting skills. I also love your adventurous and refreshing color choices. Aviatrix Medallion QAL: Border three . . . sorta.